Kopaka was the calculating and independent Toa Mata of Ice and deputy leader of the team tasked with awakening the Great Spirit Mata Nui. After being exposed to Energized Protodermis, he was transformed into the Toa Nuva of Ice. Kopaka and the rest of his team were created on Artakha. The Toa were then sent to Daxia, where they were introduced to each other and told of their purpose to be the guardians of the Great Spirit Mata Nui. On Daxia, they were trained in combat by Hydraxon. During one of the exercises, Kopaka was the only one who succeeded in escaping Spinax, freezing the Energy Hound. As a result, Hydraxon congratulated his original thinking and knocked him down repeatedly afterward. Teaching the six of them to work as a team, Hydraxon took their Kanohi and hid them across the island. Kopaka puzzled over retrieving his Kanohi Akaku out of the volcano on Daxia, until Lewa realized Hydraxon's point. That night, Tahu and Kopaka traveled to the Order of Mata Nui's fortress and got inside by tricking the guards. There, they met with Toa Helryx, Toa of Water and leader of the Order, who agreed to tell them of their mission and their future. After they finished their training, the Toa Mata were sent to protect the Av-Matoran who were finishing construction on Karda Nui. While there, the six Toa fought against hostile Rahi being affected by strange energy spikes. After they defeated the Rahi, sentient lightning bolt Rahi known as Avohkah began to harass the Matoran. After several months of fighting the Avohkah, finally dispersing them, the Av-Matoran finished with their work. Tahu and Kopaka then led the others to the Codrex, spherical building embedded in one of the stalactites, which trapped them inside upon entering. The two Toa explained the reasons for leading and sealing them into the Codrex; as they were to be placed in comatose as a failsafe for Mata Nui should he ever need to be saved. After the Av-Matoran evacuated Karda Nui, the Energy Storms began to erupt, forcing the Toa to enter their Toa Canisters, where they remained safe for thousands of years. Their canisters had been launched into the sky and were intended to emerge onto the island of Mata Nui after the Great Cataclysm. The Toa were meant to journey through Kini-Nui and descend to Metru Nui where they could begin their mission for reawakening the Great Spirit. However, a malfunction caused the canisters to instead land in the sea around the island. For one thousand years the Toa floated in slumber until Takua accidentally located the Toa Stones of Mata Nui, activating a signal which summoned their capsules to the island's shores. Kopaka first awoke when his canister's lid blasted open after washing ashore on one of the Ko-Wahi beaches. Piecing himself together, he was able to recall nothing of his past life, and only his name. As he journeyed across Ko-Wahi, he coldly met Matoro, whom the Toa at first believed was an enemy. The Ko-Matoran explained to Kopaka of his quest to collect the various Kanohi Masks around the island. As they walked onward, a Nui-Rama attacked them and caused Matoro to fall over an edge, before being saved by the Toa of Ice. Nearby, Turaga Nuju spotted this brave deed and began to reveal to Kopaka of his main purpose, to defeat Makuta Teridax who ruled the island and by doing so, saving Mata Nui the Great Spirit. Kopaka, Nuju, and Matoro then parted and the Toa began his search for a mask on Mount Ihu. While scaling Mount Ihu, Kopaka met Pohatu, who accidentally buried him under an avalanche while practicing with his Elemental Powers. Undaunted, Kopaka continued along after he freed himself, reluctantly allowing Pohatu to accompany him. He reached the top of the mountain and found a Great Hau. Being able to switch the two Kanohi at will, he noticed that the four other Toa Mata had met one another far below. Kopaka and Pohatu subdued a Kane-Ra together as they descended the mountain, and then revealed themselves to the other Toa; the team reacquainted for the first time in tens of thousands of years. After discussing a plan of action and having a small warning given to them through Teridax's control over the weather, the Toa agreed to split up in search of the Masks. Kopaka journeyed to collect his Pakari from an island in the center of a lake of lava. After reaching the island via freezing a hot spring and using the ice to ride across the lava, he attempted to return when his ice sword, being used as a paddle, struck the ice block, causing a large chip of ice to fly off, hit and knock him out. While unconscious, Kopaka received a vision in which he saw Kini-Nui from a bird's-eye view and Akamai and Wairuha. After reviving himself, the block had melted too much to get back to the shore in time. Using his newly found Pakari, he attempted to leap across, though unsuccessfully. He was rescued by Lewa who caught him in an updraft and informed him of a meeting Onua called for. Along the way they met with a group of Matoran that wanted them to go to a disk throwing championship, but they were unable to attend. At Onua's meeting they debated to work together as Makuta Teridax launched an attack, using the Island's natural elements and corrupted Rahi. Kopaka and Gali successfully defeated a Muaka, while the other Toa defeated other Rahi and obstacles. The Toa split up into teams of two to complete their mask collecting. During Takua's search of Matoro in the Drifts, the Ko-Matoran was attacked by a Muaka, whom Kopaka was able to save after easily overpowering the Rahi. Onua, Gali and Kopaka successfully recovered a mask for Tahu underwater, where, they confirmed the Rahi were being controlled through their infected masks. Later, a teamed Pohatu, Lewa and Kopaka argued over the solution for recovering a mask across a trench. Much to Kopaka's at first disapproval and followed respect, Lewa was able to hover over the gorge and safely avoid the stationed Nui-Jaga. Kopaka also collected his own piece of the Makoki Stone, which was later needed to open Teridax's lair. Regrouping at Kini-Nui, Kopaka and his fellow Toa received their Golden Kanohi and bidded the Chronicler's Company farewell before entering Teridax's Mangaia. The Toa soon encountered powerful Manas which were seemingly unstoppable once fought against. Gali and Kopaka theorized on their visions that the Toa should combine together and form the Toa Kaita. Doing so, they defeated the Manas and destroyed their unique energy towers, moving on to confront Teridax. His presence caused the Toa Kaita to divide however and he followed up by pitting the Toa Mata against their shadow counterparts. Realizing the Shadow Toa were simply a dark extension of themselves, Kopaka along with his team were able to accept this fact and reabsorb them. Locating the Makuta, the Toa fought fiercely together in order to subdue Teridax in his Vortex form. Kopaka, along with the other Toa, were then transported back to the surface after their victory. Moments after the Toa's departure from Mangaia, the team received word that rampaging creatures, the Bohrok, were overrunning Ta-Koro. Kopaka followed along with the other Toa as they sped towards Ta-Wahi, where, they found Pahrak and Kohrak crumbling the village. The skirmish with the Bohrok squads ended quickly and the Toa managed to disperse them. Given an explanation of their existence by Vakama, to completely cleanse everything on the Island of Mata Nui, they separated to protect their own endangered villages. They also gained further instruction to collect the eight individual Krana from six breeds of Bohrok, believing the Krana could be used to defeat them later. Kopaka made his way through Ko-Wahi where he discovered the Three Brothers Bridge melted and his own village, Ko-Koro, damaged and left ruined by a Tahnok force. Kopaka stayed for a time, collecting Krana from the hostile Bohrok in Ko-Wahi, which when removed of its Krana, left the creature comatose. The Toa of Ice later contributed to Onua, Gali and Pohatu's plan to trap a swarm of Tahnok, which were heavily progressing in clearing Po-Wahi of all recourses and structures. He later followed a Tahnok Va to a cave and studied the Bohrok coming from within the island of Mata Nui. Kopaka quickly located Tahu and showed him one of the Bohrok Nests before reuniting with the other Toa. After they deciding to descend into the massive tunnel, Kopaka showed some distrust of Lewa, who had been possessed by a Krana not long before. Journeying further, Tahu decided to investigate an opening alone, just before it was sealed off. The five Toa alone dealt with the unstoppable trap of molten lava slowly flowing through the cave. Lewa figured out that the strange impenetrable wall was actually an illusion, enabling their escape of the lava and regrouped with Tahu. The Toa entered the next chamber, with revealed niches to place the collected Krana inside. Kopaka added his own Krana in the slots and entered one of the six doorways that had opened. Inside, he and the other Toa found individual Exo-Toa armor and donned them. Kopaka quickly saved Lewa from Gahdok, one of the Bahrag who had appeared, the commanding queens of the swarm and the Toa engaged the Bahrag. Even with the Exo-Toa's strength however, the Toa were unable to overpower them and were soon outmatched. Taking note that their suits hindered their Elemental Powers, they desperately shed the armors and combined their energies into one stream, causing the Bahrag to be trapped in a Protodermis cage. This prison enabled an end to the Bohrok invasion with the Bahrag no longer having a command over their robotic legions. The floor then gave way unexpectedly, causing the Toa to be immersed in Energized Protodermis, transforming Kopaka and his team into Toa Nuva. The Energized Protodermis enhanced the Toa's elemental powers, Kanohi, and weapons. They were put to the test to save them from falling boulders and escape from the cavern that was in ruins. They met a Tahnok horde that had run amok, with Kopaka helping trap the Tahnok in a ditch created by the Pakari Nuva's power. The blow that created the ditch weakened the cavern, and the Toa managed to use their Kanohi Nuva to escape. Tahu named the team Toa Nuva, and then they unanimously decided to reprogram the Bohrok to help in the efforts to repair the Koro. The Toa Nuva tested their enhanced abilities with a mock battle against one another. The friendly match became a heated dispute between Kopaka and Tahu however, and was put to an end by Gali. Tensions of protecting Mata Nui began to weigh on them and they agreed to disband, believing their abilities were enough to protect their own villages. Kopaka further left for Ko-Koro, pleased to see that his people were safe and had begun rebuilding their home since the Bohrok invasion. Later while skiing down the slopes of Mount Ihu and across a chasm by making an ice bridge, Kohrak-Kal stole Kopaka's Nuva Symbol in Ko-Koro. This caused Kopaka to lose his elemental powers instantly and his bridge to shatter. Without his powers, Kopaka was forced to stop himself from falling by striking his sword between two cliffs. He was rescued by Nuju who located him and used his Mask of Telekinesis to bring Kopaka to safety. The Toa quickly regrouped and followed the trail of the six Bohrok-Kal to a desert in Po-Wahi, where they encountered their foes. Devoid of their powers, the Toa were utterly defeated by the Kal's own abilities, leaving them a warning to stay out of their mission. Tahu ordered Gali, Onua, and Pohatu to discover the Bahrag's location since their battle with the queens, while he, Lewa, and Kopaka would chase down the Kal. Wanting time alone, Kopaka walked through Ko-Wahi for meditation, where he was interrupted by Pohatu who sought his company while searching for a Kanohi Hau Nuva. Kopaka did not answer to his calls, and continued ahead for time before being tricked into accompanying the Toa of Stone, when the latter pretended to be caught in a snow-drift. Later the two sat down for some rest, and awoke to find a Muaka, escaping from it as Pohatu was able distract the Rahi. Traveling further they located the cave holding the mask, and Pohatu unblocked its stone entrance. They made their way through the tunnel, carefully descending down a huge crevice, before reaching the bottom, where a tremor caused huge rocks to collapse. Pohatu pushed Kopaka out of the way, and the Toa of Ice quickly retrieved the Hau Nuva. However the Toa of Ice was unable to shield Pohatu with the mask and then grieved for his brother, believing he had died in the avalanche. Making his way out of the cave, and then to Po-Koro, he gifted the Kanohi Nuva to Turaga Onewa, in respect for his lost brother, who, to Kopaka's shown relief, revealed himself to be alive and well, waiting for him there. Kopaka was then summoned by Gali, along with Tahu, to find three more Kanohi. During the journey to the Place of Shadow, a canyon that even the Bohrok had avoided, he managed to set aside some of the differences with the Toa of Fire. After passing challenging illusions created by Teridax, the Toa accumulated the masks, but fell through the floor, where they found the other Toa Nuva and Turaga Vakama. Together, they battled the Rahi Nui, set on them by Teridax, and defeated it with Vakama's help, who tricked the Rahi into trapping itself. Kopaka briefly merged with Gali and Lewa to fight a Bohrok-Kal Kaita Ja as Wairuha Nuva, but failed. The Toa Nuva later learned that the Kal had located the Bahrag, and followed the Kal underground to prevent them from freeing the queens. After Tahu's failed attempt to use the Vahi, Mask of Time, Gali realized the Toa Nuva's power was still housed in the symbols the Bohrok Kal carried. Being a last resort, they overwhelmed the elite Bohrok by siphoning their energies through their symbols into them, causing the Kal's own elemental powers to destroy them. Kopaka's energies returned to him after acquiring his symbol, and the Toa Nuva exited the tunnel. After the Kolhii Championship game and the finding of the Mask of Light, the Rahkshi were released to chase down the Herald to the Seventh Toa. Jaller and Takua the Chronicler who were appointed to find the Seventh Toa, quickly accompanied themselves with Kopaka after meeting him in Ko-Wahi. They found Kopaka near several frozen Bohrok, and when asked how he had found them Kopaka coldly replied that they had been the ones following him. He also revealed his ignorance of their quest, prompting the duo to explain recent events. The three travelled to Ko-Koro, where Kopaka saw from a distance the destruction of the village's gate. The three were further ambushed by the assaulting of a Guurahk, Lerahk and Panrahk. Kopaka was able to escape with the Matoran by skiing them down the slope, but was knocked out by the Rahkshi, who fired a blast of disintegrating power at the ground beneath them. Ignoring the fallen Toa, the creatures flew towards the Matoran who had continued, floating across a pond. Before they could reach the two however, Kopaka revived and blasted the three sons of Teridax with a beam of ice, plunging them into the water, before further freezing it. Kopaka left Jaller and Takua to tend to his village, giving them a few words of comfort before leaving. The Toa of Ice then received word of a meeting, the purpose of planning a strategy to stop the Rahkshi. Upon arrival, the area was absent of his teammates, and quickly became filled with the six waiting Rahkshi. Kopaka was able to hold off their attacks for a few moments before the timely arrival of Gali, Lewa, and Tahu, who helped to drive the Rahkshi away. Later, while searching for the Rahkshi, Tahu, Lewa, and Kopaka found destruction in Le-Wahi and witnessed nearby infected Matoran. Kopaka quickly encased the Matoran in ice to keep them safe for the moment before the Toa continued in search of the source of the infections. Eventually, on the outskirts of Ko-Wahi, two Rahkshi Kaita unleashed an attack on the Toa. The three underestimated their foe's power, which was greater than they assumed, and were forced to retreat. Kopaka, Lewa, Tahu and Gali later journeyed to Onu-Koro, where Pohatu and Onua were busy revealing to the Onu-Matoran the discovery of the Mask of Light. There, a Vorahk, Turahk, and Kurahk assaulted Onu-Koro, revealing to the Toa that they were only hunting the Herald of the Seventh Toa, Takua, rather than the Mask of Light itself. Toa were soon overpowered by the Rahkshi, their forces dwindling when Tahu, in an attempt to defend voyaging Takua, was blasted by the Kurahk. The corrupted energy drove him into a dangerous rage and turned the Toa hostile to everyone around him, including his teammates. As Pohatu and Onua brought down an avalanche to hold the Rahkshi, Kopaka deemed Tahu too dangerous in his current state and was forced to freeze his brother solid, so he could be taken away to be cured safely. Kopaka helped in Tahu's purification by combining his ice energy with the flame energy from Tahu's sword. The process allowed Gali to fully purify him after casting a healing technique upon their leader. Speaking with Gali for moment as she recovered her drained energy, Kopaka left to find and rescue Pohatu and Onua, who were lost during the cave-in at Onu-Koro. Confronting with the Rahkshi at Kini-Nui, The Toa, after being reinforced with Kopaka and the rescued Onua and Pohatu, defeated the Rahkshi with the help of the newly transformed Takanuva. The Toa of Light journeyed alone into Teridax's lair and eventually defeated him. Kopaka along with the majority of the island's inhabitance, continued after Takanuva after Hahli summoned them at the Toa's request, where the temporally formed Takutanuva then opened the gate to Metru Nui for them. After the discovery of Metru Nui, the Toa journeyed across the island to say their goodbyes and reflect on their past. As the construction of the boats began to sail across to Metru Nui, the Turaga revealed to the population of the city's and the Matoran of Mata Nui's hidden history. Sailing across the Silver Sea, they quickly encountered six Doom Vipers, defeating them using their Kakama Nuva. The Matoran settled in and began to rebuild the city, meeting the Turaga of Metru Nui, Dume. After several meetings with Nuju, the seven Turaga explained to the Toa that Mata Nui was slowly dying, the Kanohi Ignika his only means of survival. The Toa Nuva then quested to Voya Nui to locate the mask; leaving Takanuva to defend the city. 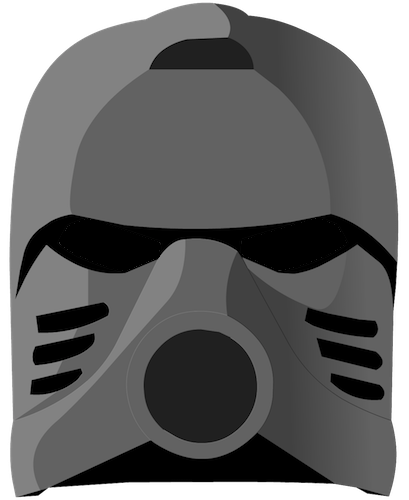 Kopaka eventually arrived on Voya Nui by a Toa Canister similar to the one he arrived on Mata Nui with. Upon arrival, Tahu suggested they begin searching for the Mask of Life near Mount Valmai. While journeying there, the Toa encountered the Piraka and a great battle ensued. Kopaka fought against Avak where he was encased in a fire cell that became more intense against Kopaka's ice energies, and fell unconscious. Zaktan, the leader of the Piraka, ordered his team to take their masks, and dispose the defeated Toa Nuva into Mount Valmai, an active volcano. As the Piraka were about to kill the Toa, an eruption occurred and the Piraka ran away, leaving them on the slope. They defended themselves with what they could, though the lava caught Kopaka by surprise, badly scorching his right leg. Able to escape the chaos, they encountered the Voya Nui Resistance Team, who, believing that the Toa were just more Piraka, attacked the weakened team. After striking Gali with a temporary mental sickness, Kopaka became furious with the Matoran, subduing half of the group, leaving only the members Garan and Dalu. Reassuringly, the Ta-Matoran Balta, arrived before anyone was permanently harmed, and confirmed that the Toa Nuva were real Toa, having gained the information from the island's protector, Axonn. The Matoran and Toa Nuva aligned themselves together and raided the Piraka's base. However, Brutaka, a defected Order of Mata Nui member, defeated the Toa Nuva and the Matoran with one blow. Kopaka was placed in Brutaka's custody with the others. Later, he along with the other Toa Nuva were rescued and regained their masks, before meeting the Toa Inika and beginning their new mission of preparing the universe for Mata Nui's awakening. Kopaka traveled with the other Toa Nuva to fulfill the tasks given to them on a scroll. Their first task was to reawaken the Bahrag and start the cleansing of the Island of Mata Nui which they did with reluctance. They then journeyed to retrieve the Staff of Artakha, which they believed to be on the island of Odina. Kopaka and the other Toa Nuva encountered the Shadowed One there, who informed them that the staff was on Xia, and in exchange for that information, requested them to kill Roodaka. He and the other Toa went to Xia and found Roodaka, but rather than kill her, forced her to change the Rahaga back into Toa Hagah and left the legendary team to imprison her. The Staff was found to be no longer on Xia, as it had been stolen by Icarax. Later, the Toa Nuva followed Icarax to the realm of Karzahni, where all of the Toa but Gali were subdued. After the realm was destroyed by a Nova Blast unleashed by the Toa of Water, Kopaka was revived and then journeyed with Tahu to a chain of southern islands where they needed to stop several active volcanoes. He was then teleported by Botar to Daxia where he saw the Staff of Artakha being used to restore the Matoran Universe to its former aspect. Completing their missions, the Toa Nuva arrived on Artakha and stayed long enough to gain new armor. They were then transported to the Universe's Core. Upon being teleported into Karda Nui, the Toa Nuva encountered the Makuta dominating over the inhabiting Av-Matoran. After the three Makuta momentarily retreated to their lair in response to the new threat, the Toa accompanied the dwindling Matoran resistance to their homes; upon entry into their village bunker, Kopaka and his teammates began to remember some of their past experiences in Karda Nui. Receiving news on both the Makuta siege and Matoro's sacrifice, Tahu assigned Kopaka, Lewa and Pohatu to defend the Av-Matoran from further harm, while the Toa of Fire, Gali and Onua continued their search for the Ignika. Later, the three Toa stationed around the village were charged by the Makuta in a fight, and Kopaka was overtaken by Vamprah, who used his Avsa to drain the Toa's energies. He, Solek, Pohatu and Photok were later bound by Antroz in chains of shadow, hanging from the ceiling of Karda Nui. Lewa however, used his elemental power to temporarily defeat the Makuta and rescued his comrades. Solek eventually gifted Kopaka a Keystone, explaining to him the importance of the six objects; Kirop and the Makuta held two, and while the final three pieces resided in unknown locations. Seeing that the Matoran would not succeed without an advantage, Kopaka flew over to a Shadow Matoran village and swiftly kidnapped Kirop. The Toa then waited for the Shadow Matoran to awaken and began a discussion about a planned attack on the Makuta's Shadow Leech Hive. As expected, Kirop overheard the fake plan and escaped his confinement for the hive, unknowingly leading Kopaka, his Toa and their three respective Matoran to its location. On the way, they were accompanied by the Toa Ignika, a body that the Mask of Life had created for itself, and accepted him, not knowing the Toa's true nature. Entering the cave, Kopaka and Solek split off together and confronted Mutran. Solek was knocked unconscious quickly and Kopaka faked defeat at the hands of Mutran's mental powers. When given the chance by Solek, he struck back and froze the Makuta. The victory was short lived as Antroz, Chirox, and Vamprah had defeated the other Toa, and quickly arrived to subdue Kopaka. The Makuta held them hostage and attempted to mutate Lewa into a Toa of Shadow, before being rescued by Pohatu. The seven escaped the lair before the Toa Ignika destroyed the Shadow Leech Hive. The Makuta, with Icarax now in Karda Nui, launched an all out assault on the sole remaining Av-Matoran Village, only to find it empty of inhabitance. Having fooled their enemies, Kopaka and his team had taken the third Keystone from their lair and ambushed the Makuta. The battle swayed back and forth during which Antroz almost destroyed Kopaka's armor. The tide changed when the Ignika joined in and weakened Icarax by devolving him back into a biomechanical being. After reflecting Antroz's Heat Vision back at him using an ice shield, Kopaka successfully pierced the Makuta's armor, causing them to retreat following a large blast of Shadow released by Mutran. The Toa then captured the weakened Makuta scientist and forced him to divulge as to the others whereabouts. Following the Makuta, Kopaka and the entered into the Swamp of Secrets just in time to freeze Antroz's oncoming Shadow blast. They then joined with the other Toa Nuva for a final confrontation against the Makuta. During the course of the battle, Takanuva arrived after a long voyage through several dimensions, and drove the Makuta off. Tahu took advantage of their absence, and had the Toa connect the six collected Keystones and read them. The Toa then used the objects to proceed into the Codrex. Inside, Onua found a switch that lowered their platform, where they discovered the Axalara T9, the Jetrax T6, and the Rockoh T3. Lewa boarded the Axalara T9, while Pohatu boarded the Rockoh T3, their armor adapting to the vehicles in the process. Before Kopaka could board the Jetrax T6, Antroz hijacked the vehicle. The two Toa soared in their machines towards Antroz in full pursuit. When Antroz blasted Pohatu's craft, Lewa engaged him in aerial combat. Kopaka slowly followed his friends out of the Codrex, but paused to catch the Shadow Matoran Radiak. He then gave Radiak to Takanuva, and flew to pursue Antroz. During the dogfight, Kopaka decreased the temperature of the Jetrax T6, slowing the engine. The two vehicles manned by the Toa attempted to collide into the Jetrax T6 before Antroz teleported out. In response, Kopaka released ice barriers to stop the two aerial machines and managed to slip into the empty Jetrax. Kopaka later encountered Takanuva again, and saved him from Bitil. Takanuva unleashed his growing rage, and threw Kirop from Chirox's back, harming the Matoran. Kopaka flew to save the falling Kirop, and then confronted Takanuva about his behavior. Bitil then knocked the two out using his chain lightning power. When they regained consciousness, the Makuta were gone. Takanuva, in response to the coming danger of the Energy Storms, managed to evacuate the rest of the Matoran safely and discovered a cure for the Shadow Matoran, succeeding in reverting them. Later, Tahu rounded up the Toa for an escape from Karda Nui, after the Toa Ignika succeeding in reawakening Mata Nui by sacrificing his body within the Codrex. As the Energy Storms started, killing the Makuta left behind, the Toa used the vehicles to escape. Kopaka flew the Jetrax T6 to Metru Nui and aided in the Siege of Metru Nui. After the Toa Nuva's arrival, a celebration to Mata Nui's awakening commenced. This celebration, however, was interrupted by Teridax, who revealed to the whole universe that his plan was accomplished, and that he ruled the entire Matoran Universe. When Teridax unleashed Rahkshi in Metru Nui, many of its inhabitants, including the Toa Nuva, fled into the Archives to escape them. After the Turaga found Krahka, she agreed to help them, and the Toa used the tunnels she revealed to them to escape the island-city. They stole a boat and went to the island of Stelt, where they met Order of Mata Nui member Trinuma, who told them of Daxia's destruction. Tahu then formulated a plan to begin causing disturbances all across the Matoran Universe to distract Teridax and hopefully overwhelm him, for he was not used to being in control of the entire universe. Kopaka answered Tahu's call to fight in the Battle of Bara Magna, and they succeeded in defeating Teridax's forces, while Mata Nui killed Teridax. Kopaka watched Matoran emerge from the massive robot after the battle was over; he contemplated going off on his own, exploring the new planet, but remembered Lewa's disappearance, and vowed to find his friend first. Kopaka then noticed a section of the robot disappearing. He focused on the spot and saw a small army of Skakdi emerging from the robot followed by the Golden-Skinned Being and the Toa Mahri, and he moved in closer to investigate. The gold-skinned creature, after leading the group through the jungle, created a massive castle on rock formations. Returning to the beach to search for Tahu, Kopaka came across Toa Hagah Gaaki, and relayed the situation to her. Gaaki offered to gather the Toa Hagah for him, and help the Toa Mahri. Kopaka reluctantly accepted her offer due to his fatigue, and made arrangements to contact him if they discovered anything new. He and Pohatu were later approached by Toa Lesovikk, who was enraged that Karzahni had escaped confinement. Kopaka informed him that they would prepare a search party the next day, but Lesovikk refused the offer, and set off by himself. While searching for Lesovikk the next day, the two stumbled across the dead body of Karzahni, and Lesovikk's Air Sword. As they theorized that Lesovikk might have killed the tyrant, a violation of the Toa Code, a cyclone approached them at high speeds. Kopaka used his Ice powers to create a barrier, while Pohatu used his Kakama to negate the cyclone. Kopaka deduced that, due to the static nature of the cyclone, it was not a direct attack, and simply a weather phenomenon. They took the body back to their camp, and spoke with Tahu and Gali. Tahu, who had seen Lesovikk on their travels, directed the Toa of Ice north, and also attempted to join their search. Kopaka convinced him to stay and work on the Agori/Matoran relations, and set out with Pohatu. During the trip north, Kopaka and Pohatu discussed the murder, as well as Lesovikk's possible intentions. Kopaka theorized that it may not have been about the vendetta between Lesovikk and Karzahni, but instead a larger issue involving what Karzahni represented. A movement ahead caught Kopaka's attention, and the two Toa were suddenly struck by a mental scream unleashed by Tren Krom, which presented them with a series of images including the Red Star. They ran towards the woods, and discovered the scattered remains of Tren Krom, confirming the mental images they had received. Pohatu began to suspect a pattern with the two deaths, and they ruled out Lesovikk as a possible suspect. Pohatu then noticed a winged being in the air, and Kopaka brought him down with his Ice powers. The being, who revealed himself to be Gaardus, was questioned by the Toa, and he told them of his history and what he saw about Tren Krom's murder. When he mentioned the Red Star, Kopaka suspected it had something to do with the deaths, and requested that Gaardus take them up there, over Pohatu's objections. Gaardus teleported them to the Red Star, where they encountered three hostile Kestora. The Kestora began talking about Gaardus's actions when he was last in the star, and began debating on what to do with the three. Pohatu quickly disarmed the Kestora, and Kopaka eventually froze them. After Pohatu informed Kopaka of Gaardus's sudden absence, they ventured to locate an alternate escape route. During their search, they were surrounded by more hostile inhabitants, before being saved by the Matoran Mavrah. In this alternate universe, Kopaka and the other Toa Mata were awoken prematurely by Tuyet and convinced that the only way to ensure the safety of the Matoran Universe was to fight with the Toa Empire and destroy the Brotherhood of Makuta and Dark Hunters. When Takanuva arrived in this alternate universe, Kopaka and Tahu froze Kapura, who was running across the city at the time, and confronted Takanuva. They took him prisoner and placed him inside the Coliseum. Later, Kopaka defended the Coliseum from an attacking rebel group. During the battle, he froze Ahkmou and struck Lesovikk down with an Ice dagger. However, in retaliation, Lesovikk blew Kopaka off his high post in the Coliseum, and he was killed from the fall. In this alternate universe, Kopaka helped defend the fleeing citizens of the Matoran Universe, from the Makuta and Rahkshi. When Rahkshi killed Pohatu and Hewkii, Kopaka joined Jaller and Tahu in driving them back. Kopaka is cold, aloof, and anti-social Toa. He prefers to work alone, and only agrees to team up with others when needed, and simply leaves company when his presence is no longer required. While he does see the importance of teamwork, he still feels uncomfortable by it. Kopaka and Tahu often clashed and disagreed on personal view-points and decisions, though both have begun building a respect for each other over time. After continuously working together with his team, Kopaka has matured, developing a sense of appreciating unity. He has a peculiar friendship with Pohatu despite their opposing personalities, and is closely connected to his other teammates as well. As such, any of them coming to great harm is one of the few things that can set Kopaka off; his usually cold temper, when unleashed, can drive him to take on his enemies regardless of any personal harm he may suffer. An intellectual by nature, Kopaka has an excellent understanding of how things work, as well as very good analytical skills. He was known to spend time pondering mysteries in the Ko-Koro Sanctum. Kopaka has control over the element of Ice. He can freeze water, stop snow falling, whip up immense blizzards, cause avalanches, make the temperature drop, freeze his enemy into a solid chunk of ice, or unleash blasts of ice. After becoming a Toa Nuva, these abilities were greatly enhanced, and also allowed him to use Kanohi Nuva. Kopaka used an Ice Shield as a secondary Toa tool, both as a Toa Mata and as a Toa Nuva. In both cases, his shield has proved very useful, also doubling as a way of getting down a slope quickly. From Kopaka's creation until after his arrival on the island of Mata Nui, he possessed a single Ice Sword in addition to his shield and a Kanohi Akaku, the Great Mask of X-Ray Vision. Preparing for the Toa Mata's confrontation with the Makuta in Mangaia, Kopaka collected five other Kanohi and placed them on a statue at the Kini-Nui to obtain a Golden Kanohi with the powers of all six masks. After Kopaka became a Toa Nuva, his Ice Sword was transformed into twin Ice Blades which could double as skates. His Golden Kanohi was replaced with an Akaku Nuva, and on the Turaga's recommendation he sought out five other Kanohi Nuva to replace the other mask powers lost in his transformation. In his sky-optimized Adaptive Armor form, Kopaka carries a Midak Skyblaster with a Blizzard Blade attached. The Blizzard Blade features a laser-targeting system for the Skyblaster, and can be wielded separately from the blaster as a conventional blade or knife. His mask's telescopic eyepiece also now features a laser-targeting system as well. However, the ceiling of Karda Nui's dome blocked the usual mental access to the five secondary Kanohi Nuva stored on his Suva. 8536 Kopaka was released in 2001. It contained thirty-three pieces. If the gear on his back was turned, his right arm would move up and down, swinging his Ice Sword. The set could be combined with Lewa and Gali to form Wairuha. 8571 Kopaka Nuva was released as a Toa Nuva canister set in summer 2002. This set contains forty-three pieces and featured a similar gear function; if the back gear was moved, his arms would move in opposite directions. Alternatively, one could replace the gear operating his left shoulder to his back and replace it with a pin included in the set. The gear could now either be pushed in towards his body to allow for the movement of his right arm on its own or pulled out to lock the right arm in place. Two axles and two bushings included in the set could be used to attach his Ice Blades to his feet as skates. This set could be combined with 2002's Lewa Nuva and Gali Nuva to form Wairuha Nuva. As a promotion for the film, BIONICLE: Mask of Light, Kopaka appeared as one of a set of Burger King toys in 2003. This toy depicted Kopaka Nuva as he appeared in the movie and is not compatible with Lego parts. 8685 Toa Kopaka was released in the winter of 2008. The set depicted his Phantoka form bestowed by the Adaptive Armor. His Akaku Nuva and Blizzard Blade in this set each had a transparent red beam attached to it, representing a targeting laser beam. Kopaka, like the rest of the Phantoka canister sets, can "team-up" with any of the Matoran small sets of 2008, though he was especially advertised as doing so with 8945 Solek. Kopaka consists of fifty-four pieces including four silver balls representing the Light spheres fired by his Midak Skyblaster. "The evil on this island is about to learn that justice can be very ... cold." "Interesting. The power is in me. The sword is but the focus." "This one -- this one has many layers. He is cold. But I sense his frosty exterior may hide a blazing fire deep within..."
"It's like he just sits back and listens to us talk, thinking he's better than us ... Like it's not worth his time to get involved." "What's the matter with you, brother? I rescue you, you aren't pleased; I scout ahead to save time, you aren't pleased. Is there no pleasing you, Toa of Ice?" "I am not here to be pleased. I am here to find Kanohi Nuva so I can regain my stolen powers and truly be the Toa of Ice again. If you wish to help me, fine. If you wish to talk ... seek out Toa Lewa." "Not luck. It's what you do that makes you a hero." "All right, then, you Matoran ride with us. Stay low, keep your mouths shut, and try not to get killed." During the prototype stages of BIONICLE, Kopaka was named Blade. Kopaka was voiced by Michael Dobson in BIONICLE: Mask of Light.